Don't forget to bring me along when you are go shopping or meet your friends. 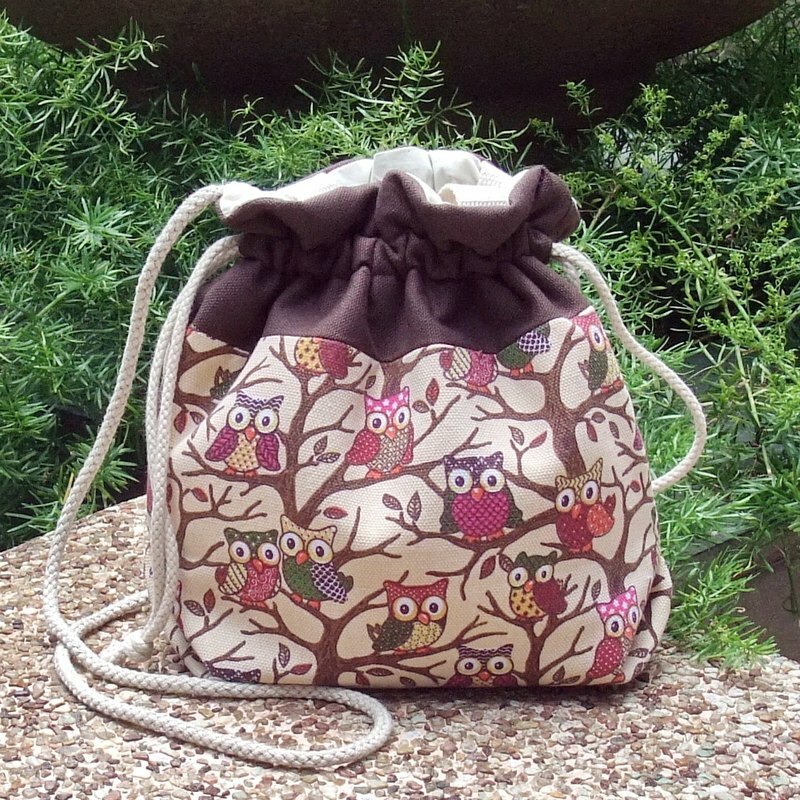 1) Handmade 3 in 1 drawstring bag. You may hand carry, shoulder carry or cross body carry. 2) It is in moderate size, you can put your purse, paper towels and glasses in. There is an inner bag for you to keep a cell phone and small objects. 3) Size: ( L x W x D ) 22cm x 25cm x 10cm 4) Material: made by high quality cotton fabric - Outer fabric: : cotton fabric - Inner fabric: cotton fabric, polyester batting (soft, light weight and not bulky) - Cotton string, cotton belt 5) Production Time: about 3-4 working days (excluding holidays), shipped within two days after completion. ★other information --Kindly pls be noted that the fabric and linen placement may vary. ★Shipment by REGISTERED Airmail with tracking no★ (★Pls make sure your NAME and ADDRESS is uptodate★) ★Made in Hong Kong / Handmade product Thank you very much for visiting!